Have you met Pierre? He is one little spoiled monkey because he just doesn’t want to wear pants. He just wont put them on. He is a banana enthusiast and not only he loves to eat bananas, but also to paint them. And apparently, painting without pants is just WAY MORE fun. Please note, I have not gone mad 🙂 . 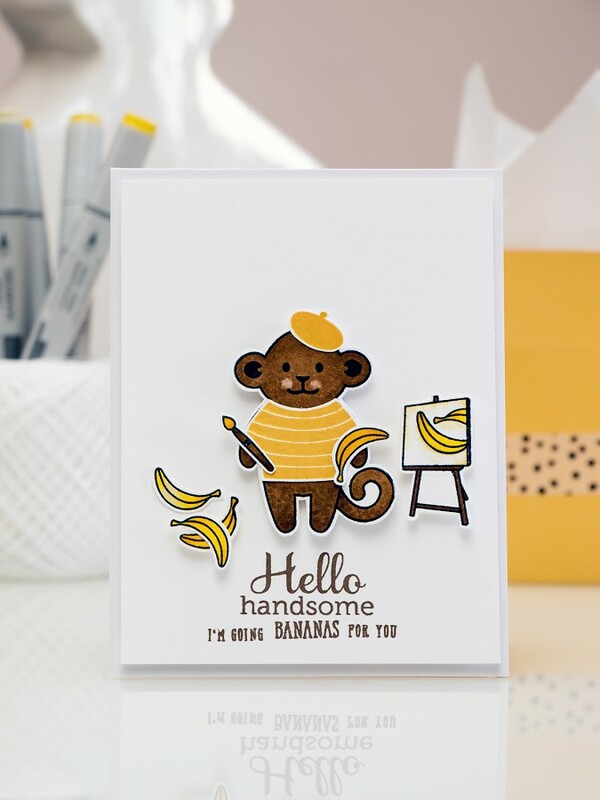 I just wanted to tell a little story behind this adorable monkey from Hero Arts and Lia Griffith. He is just so cute and handsome, too! I colored him using new alcohol markers from First Edition (Trimcraft). I just got them a few days ago and was very excited to test them out and see how well they work. So far – so good! I am happy! I’ll be sharing more about them later and I’m also hoping to color a few more monkeys too, I know Pierre will appreciate having a monkey-brother, lol! P.S. I did talk him into putting on a shirt for this card. But still no pants. Oh well. Love your style & look forward to receiving your card emails. 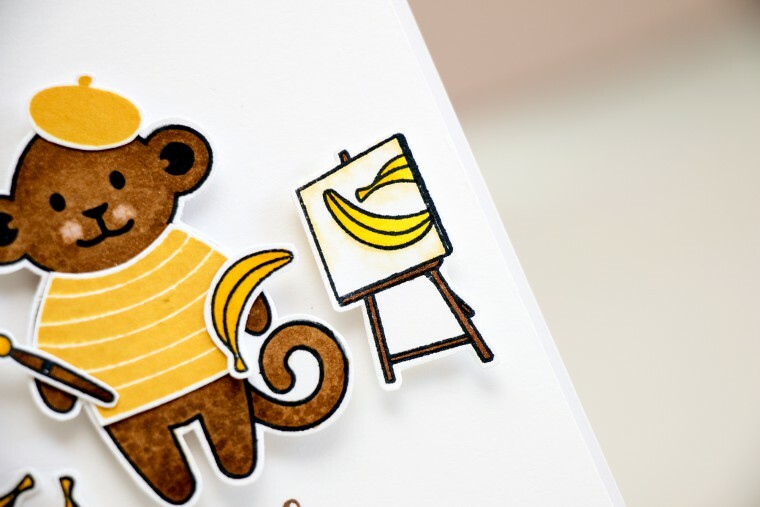 Your monkey card is too cute (and he would be overdressed with pants). What an absolutely adorable card Yana!!! Pierre says hi 🙂 thanks! Met and own Pierre! Love HIM! ha ha your post about Pierre is so funny! I think he is very talented like you, even without pants! !